"I implore each of us to prayerfully study and ponder the Book of Mormon each day. As we do so, we will be in a position to hear the voice of the Spirit, to resist temptation, to overcome doubt and fear, and to receive heaven’s help in our lives." "Since President Monson’s challenge six months ago, I have tried to follow his counsel. 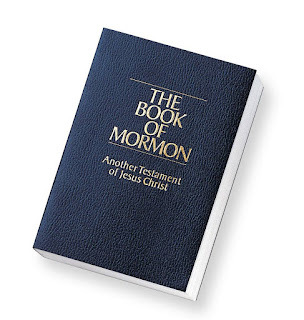 Among other things, I’ve made lists of what the Book of Mormon is, what it affirms, what it refutes, what it fulfills, what it clarifies, and what it reveals. Looking at the Book of Mormon through these lenses has been an insightful and inspiring exercise! I recommend it to each of you." Elder Nelson is a person who could have easily thought President Monson's counsel to read the book of Mormon every day did not really apply to him, since he was already doing it. However, he seemed to ask himself the question, "What lack I yet?" He received inspiration and then acted on that inspiration. President Henry B. Eyring also addressed this topic in his talk titled "Fear Not to Do Good". "Like many of you, I heard the prophet’s words as the voice of the Lord to me. And, also like many of you, I decided to obey those words. Now, since I was a young boy, I have felt the witness that the Book of Mormon is the word of God, that the Father and the Son appeared and spoke with Joseph Smith, and that ancient Apostles came to the Prophet Joseph to restore priesthood keys to the Lord’s Church." “With that testimony, I have read the Book of Mormon every day for more than 50 years. So perhaps I could reasonably have thought that President Monson’s words were for someone else. Yet, like many of you, I felt the prophet’s encouragement and his promise invite me to make a greater effort." So, with this second and third spiritual nudge I decided I should raise the bar on my daily Book of Mormon reading. My first thought was that it doesn't matter if you wrote the book on studying the Book of Mormon, you still need to read it every day. As I pondered my daily scripture study habits I realized that I had not physically picked up the Book of Mormon and read it from cover to cover by myself for several years. Most of my scripture study was topical and most of my Book of Mormon reading was with my family. I needed a kick start. So I looked at the calendar and realized that there were 91 days left in the year. I sat down and read the introductory material. Then I decided I needed a 90 day reading plan. There are dozens of them on-line, but I found a very cool tool at http://www.ldsscripturetools.com/. Go check it out. You can tell it what book of scripture you want to read and how many days you want to get it read. It spits out a daily schedule for you. My 90 day plan stated that I needed to read 2.9 chapters/day or 5.9 pages/day to finish the Book of Mormon by December 31st. That's easy. I printed the reading chart and I was ready. Except for one more mall detail. When? Answering this question took a bit of thought. You can't simply start doing something every day without giving up something. 15 minutes of scripture reading time just doesn't magically appear because you have a fancy new reading chart. I thought through my day and decided it was best to read first thing in the morning. That way there is time to recover if I forget. I value my sleep too much to even think about giving up 15 minutes of sleep, but as I thought through my morning routine I found some wasted time that could easily be manipulated to clear 15 minutes in my schedule. Now, with both a plan and a path I was ready to go. Let's see what happens. I'll post some of my thoughts here as I journey through my 90 day reading challenge.